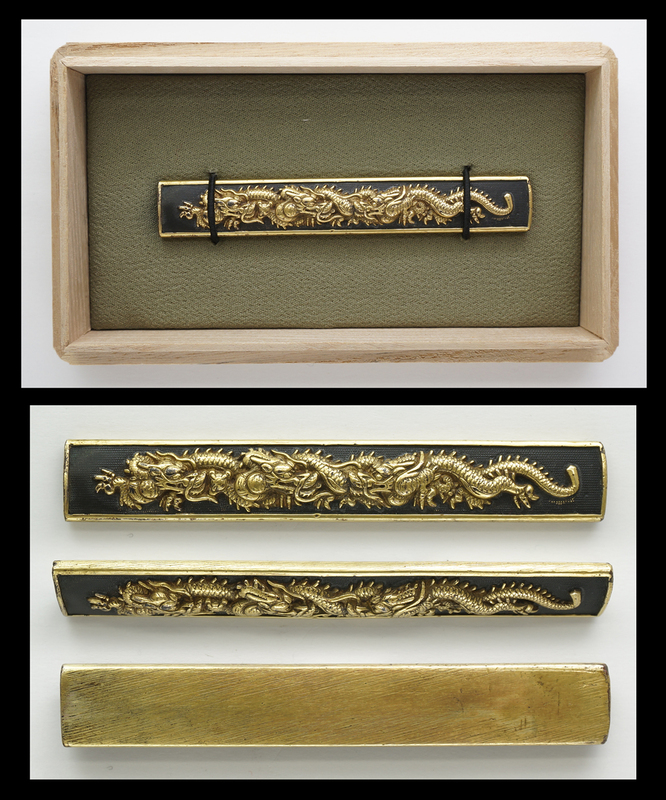 Special feature: On shakudo nanakoji plate, three dragon design is engraved and inlayed with gold. It is excellent Hori lively design Kozuka. Kozuka:Mumei salted salmon is engraved highly, with copper color.